We also make Packaging Clips of other sizes as per our clients' requirements. These packing clips are widely used for packing cartons using PP straps. 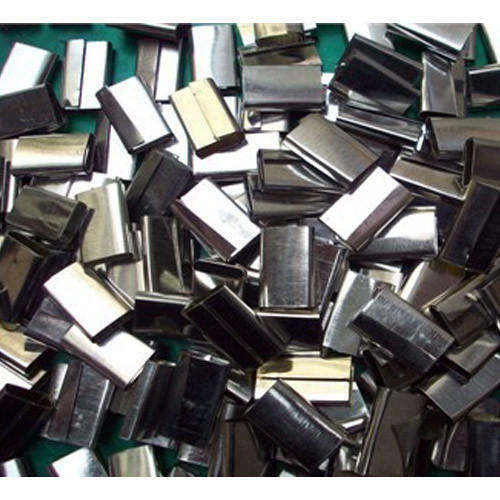 We are one of the known supplier of these steel packing clips all over India and abroad. We Xcell Industries, from 2014 are an outstanding company involved in manufacturing a high-quality range of Strapping Rolls. Offered products range consists of Fully- Automatic Box Strap Rolls, Semi - Automatic Box Strapping Rolls and Bopp Tapes, etc. In manufacturing these products, we use top grade material. Our products are appreciated for their features like reliability, robustness, splendid quality, perfect finish, and easy to use. Apart from this, we are offering Strapping Machines Repairing Service to our clients. We have gained a commendable position in the industry by manufacturing quality oriented products. We maintain a high standard of quality in the production process. Additionally, we have a research & development unit, which is engaged in designing upgraded range to cater the needs of the patrons. For the benefit of our clients, we are offering different payment options to them like cash, DD, and online fund transfer. Also, the fair price variety we offer is thoroughly impacting our reputation, as delivering top levels of patrons fulfillment has persisted at the essence of our business operations from the commencement.